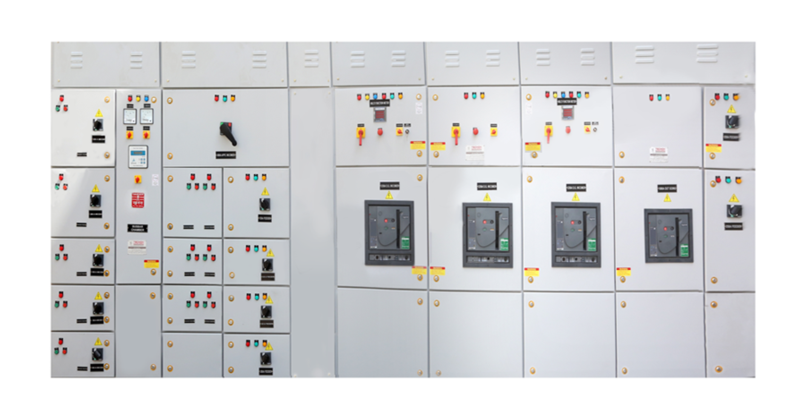 We would like to introduce ourselves as one of the leading name for providing AUTO POWER FACTOR CONTROL CENTRE panels. In industry most of the load is inductive in nature which results in lagging power factor that is why there is loss and wastage of energy which results in high power bills and heavy penalties from electricity boards. If the load is uneven it is very difficult to maintain unity power factor. To overcome this difficulty we provide APFC panel which maintains unity P.F. Prevents voltage drop and fickering reduces failures in highly sophisticated electronic equipments like PLCs. computers and other control systems. 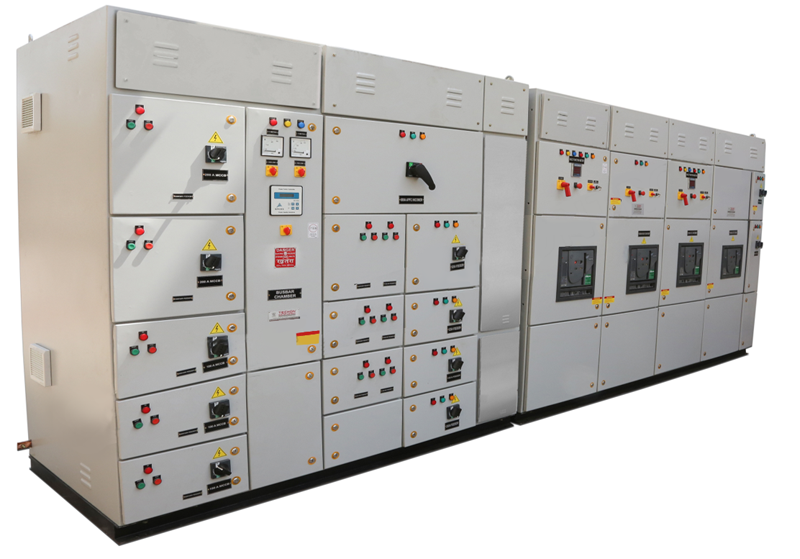 High speed power factor correcting system are designed to compensate the reactive power of any load or equipment requireing P.F. correction within a one cycle of opearating frequency or time delay of 30 sec to 5 min after command signal from APFC controller. Renders the distribution network more stable since there is no contactor switching causing high voltage transients, spikes, harmonics and other disturbances by applying zero cross over voltage switching ON and zero current switch OFF of the capacitors.